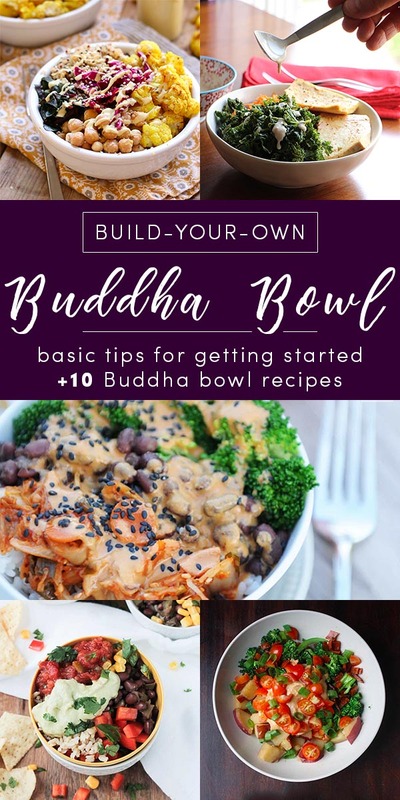 Have you been wanting to get into making Buddha bowls but weren’t sure where to start? I’ve got you. Let’s look at the key components to any Buddha bowl and check out some Buddha bowl recipes to get you started! When you get home feeling tired and hangry after a long day, a Buddha bowl is the easy answer to the burning question, “What’s for dinner?” My family eats bowl meals at least three times a week, and I’ve gotten how to build a Buddha bowl down to a science at this point. A base layer – This is usually made up of one or more whole grains, but I also like to use salad greens or raw veggie slaw as the base, if I’m looking for a lighter meal. Veggies – Here, you can add cooked veggies, raw veggies, or a mix of both. See what’s in your produce drawer that needs eating! Plant-based protein – We do a lot of baked tofu and cooked beans around here. You can also choose seitan, tempeh or a handful of nuts or seeds. 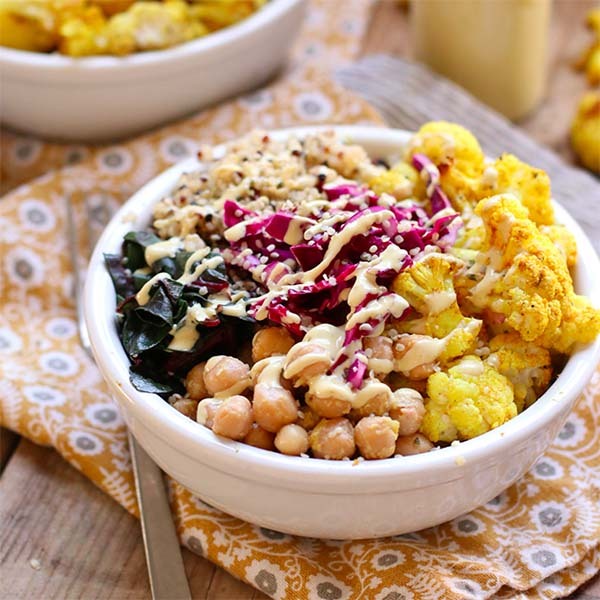 Toppings & sauces – This is where your Buddha bowl really comes to life! Add a tasty sauce or salad dressing, some chopped green onion, a handful of cashews, some hot sauce, chopped pickles and more. Any condiment, nut, seed or sauce is fair game here. Have fun with it! If you’re used to cooking and flavor combining, the layers listed above should be enough for you to sort out how to make the Buddha bowl of your dreams. Sometimes, though, it’s nice to have recipes to use at least as a jumping-off point. 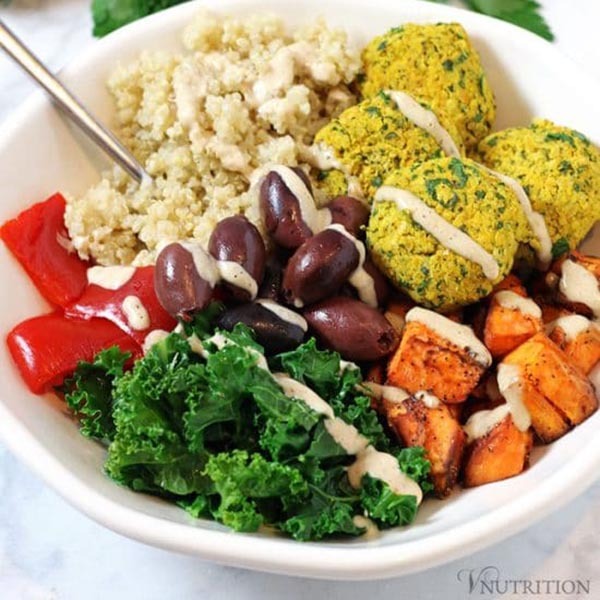 Here are some tasty Buddha bowl recipes for you to try! This meal comes together in a flash in your pressure cooker. If you don’t have a pressure cooker, though, you can certainly make the quinoa and steam the veggies on the stovetop. Shredded vegetables, fresh ginger and sweet dates are a lovely example of how to combine sweet and savory ingredients for a little more adventure in your next Buddha bowl. Just use maple syrup in place of the honey in the sauce to make this a vegan Buddha bowl recipe. This is a great example of how to mix textures and flavors. The topping here is homemade pickled cabbage to add some acidity and crunch to this hearty one-bowl meal. 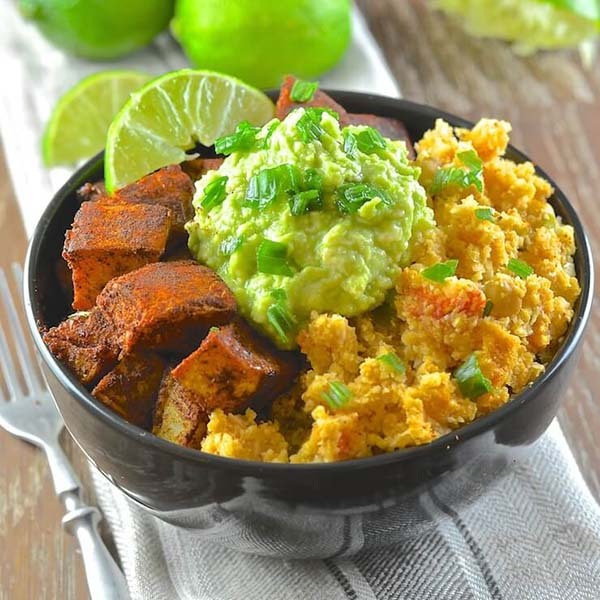 Instead of grains, this recipe uses cauliflower rice as the base and piles on flavorful roasted sweet potatoes and an avocado mash for a cozy bowl of healthy goodness. 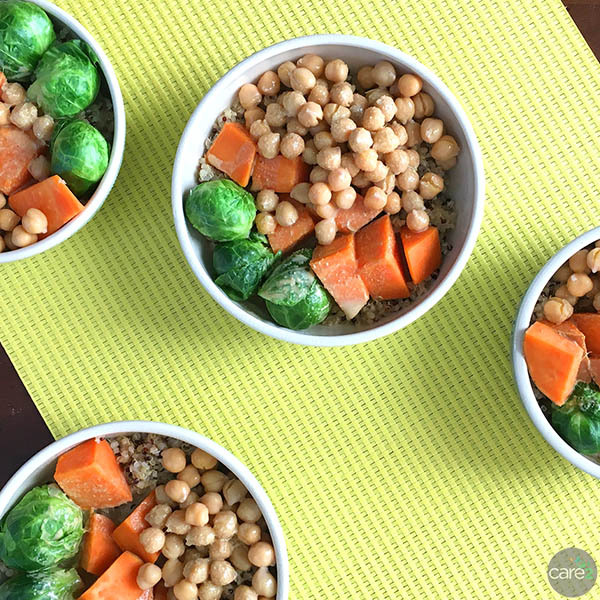 Choosing a theme is another great way to come up with a Buddha bowl recipe. 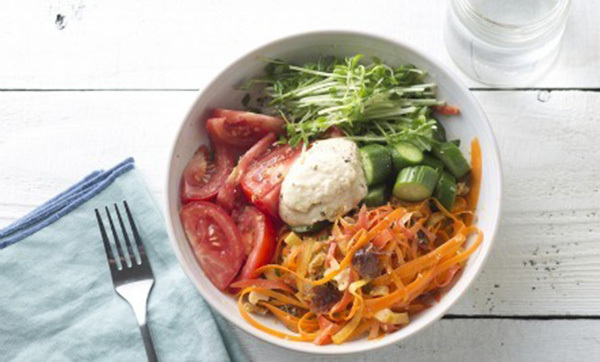 This bowl combines Mediterranean staples like falafel and hummus. 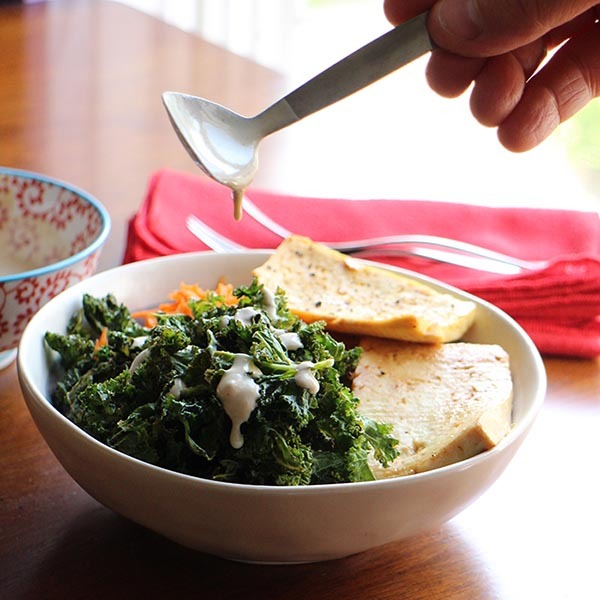 Crunchy kale chips and creamy tahini dressing add so much flavor and texture to this tofu Buddha bowl recipe! 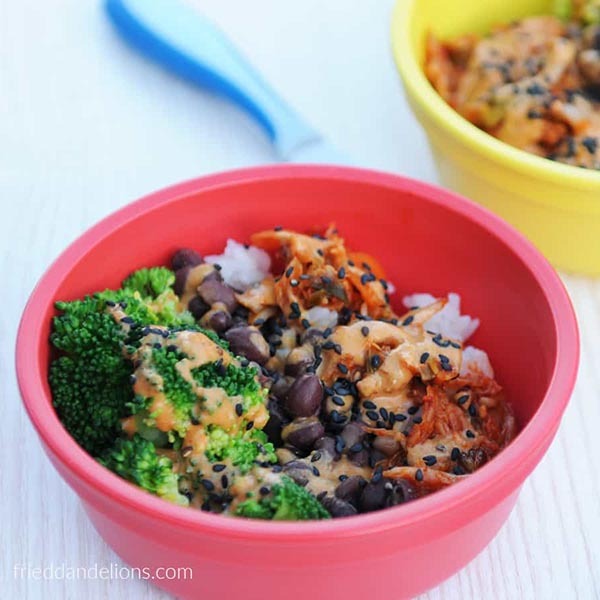 Spicy kimchi tops a bowl packed with brown rice, broccoli and adzuki beans, and you douse everything in homemade curry almond sauce. 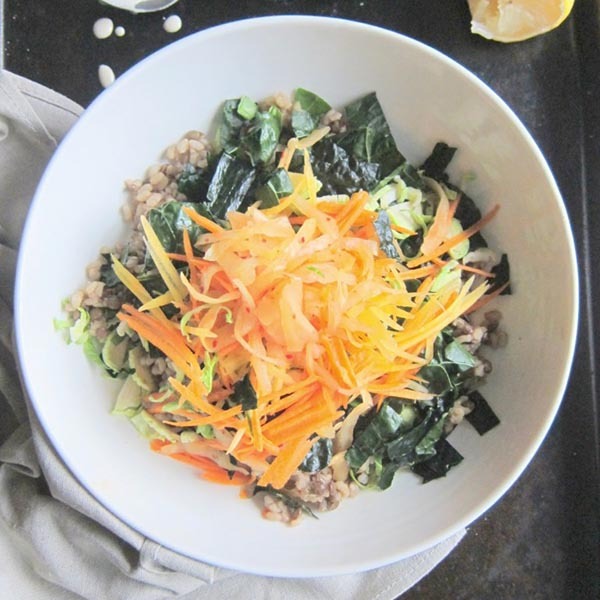 Lentils and brown rice are a great base for a Buddha bowl, because they have the same cooking time. That means you can cook them in the same pot to save time and dishes. 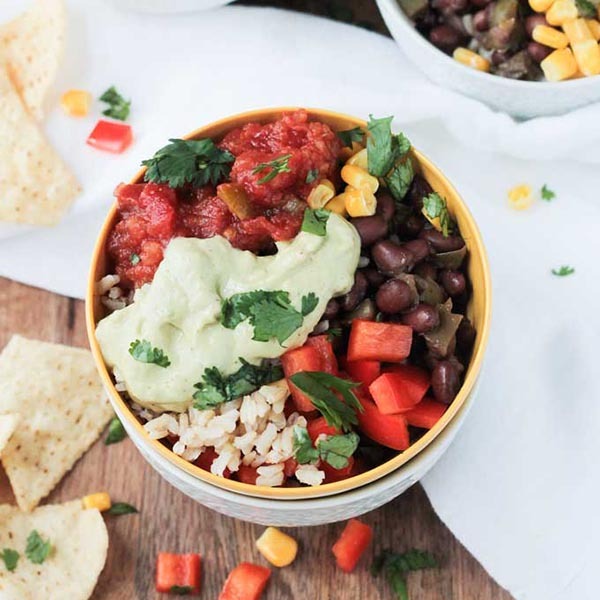 This burrito bowl is another great example of how to use a food or cuisine you love as the jumping-off point for building your Buddha bowl. 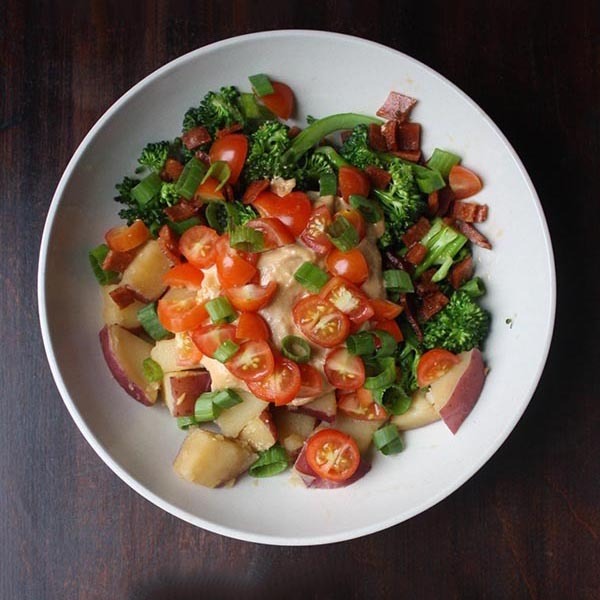 Cubed baked potatoes are a great base for a creative Buddha bowl. Pile on your favorite fixin’s, and you’re in business.